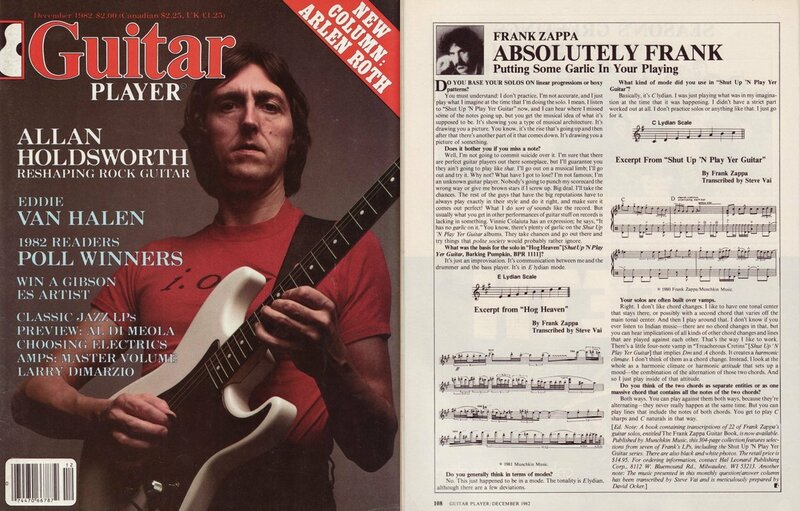 Frank Zappa is no “guitar hero”, a fact that more than 30 years after the release of Shut Up ‘n Play Yer Guitar should be clear and self- evident. What kind of guitar improvisation do we face then? The following three quotes can be of great help in understanding such phenomenon. In the first one the improviser in question speaks, and gives a hint in the shape of a garlic clove. In the following, musical hero Mike Keneally states how in-control and fearless those events were. Finally, in his Doctor of Philosophy Dissertation, Brett Clement shows how to listen to FZ guitar solos: moment to moment. If I miss a note, I’m not going to commit suicide over it. I’m sure that there are perfect guitar players out there someplace, but I’ll guarantee you they ain’t gonna play like me. I’ll go out on a musical limb; I’ll go out and try it. Why not? What have I got to lose? I’m not famous; I’m an unknown guitar player. Nobody’s going to punch my scorecard the wrong way or give me brown stars if I screw up. Big deal, I’ll take the chances. The rest of the guys that have the big reputations have to always play exactly in their style and do it right, and make sure it comes out perfect! What I do sort of sounds like the record, but usually what you get in other performances of guitar stuff is lacking in something. 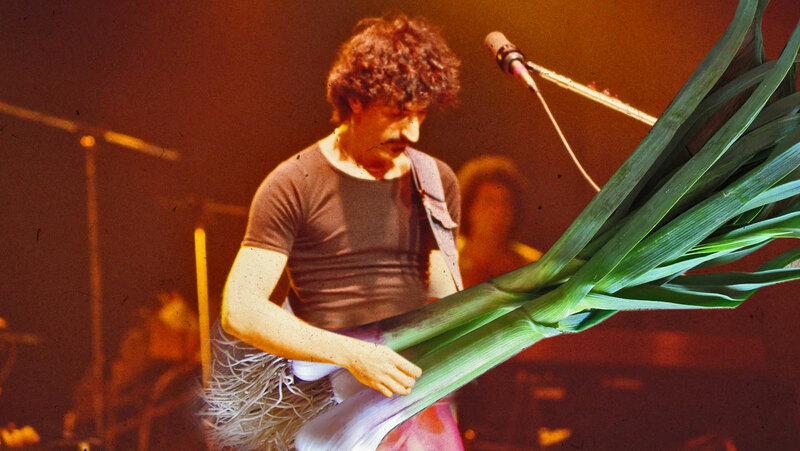 Vinnie Colaiuta has an expression; he says, “It has no garlic in it.” You know, there’s plenty of garlic on the Shut Up ‘N Play Yer Guitar albums. They take chances and go out there and try things that polite society would rather people ignore. We will begin with those works involving no melodic repetition. In this category belong, almost exclusively, the guitar solos and the titles derived from the solos. Formally, these works are essentially through- composed and non-sectional, with a “non-progressive,” changeless profile. Harmonically, this lack of forward motion is the result of stasis, as discussed previously. However, the lack of melodic repetition is also an important factor in the experienced absence of progression. In the solos, priority is given to melodic invention: a constant process of renewal. Non-repetition further insures that motivic development—beyond a single phrase (or at most two consecutive phrases)—is effectively ruled out. Therefore, it is rare for any particular melodic phrase in a solo to carry more rhetorical weight than the other phrases. With few exceptions, these phrases could be reordered without changing the overall effect of the music. Without an internal hierarchy among phrases, the traditionally important formal roles reserved for “beginnings” and “endings” are no longer held. 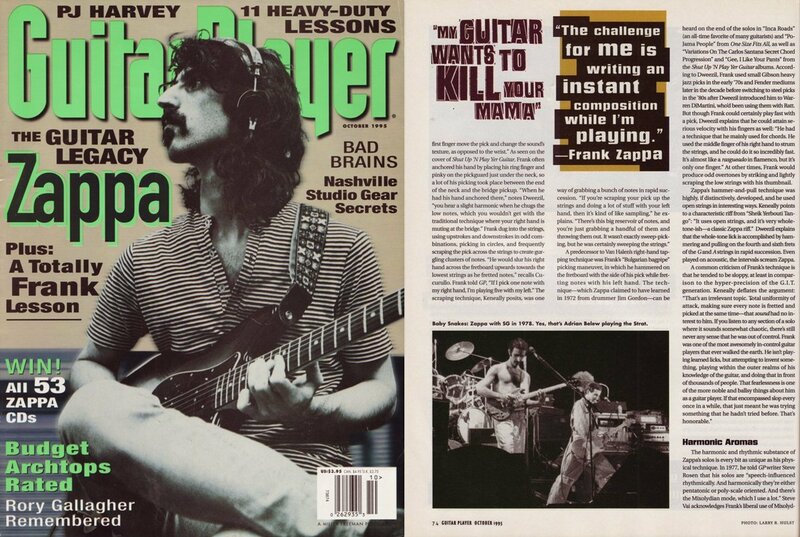 Zappa’s solos seem often to begin “in the middle,” and, even more importantly, their endings are often heard as arbitrary. In sum, they demand a listening strategy that is firmly situated in the present. … [I]t also seems consistent to a fault: the piece ends up so monochromatic, in terms of texture, dynamics, tempo, and overall pacing, that paradoxically it is very difficult to follow except from moment to moment. The absence of any clues as to how to organize the listening experience is quite bewildering …. The thematic-episodic materials, while definitely non-repeating, are not all that qualitatively distinct from one another. Many of Zappa’s lines in these pieces, in the general type of contour they exhibit and in their rhythmic design, are very much alike. Of prior theoretical concepts, the guitar solos are consistent with Jonathan Kramer’s discussion of “vertical time,” a sub-category of non- linear time in which “nonlinearity predominates over linearity.” Jonathan Kramer, The Time of Music: New Meanings, New Temporalities, New Listening Strategies (New York, London: Schirmer, 1988): 57. Bernard, “Listening to Zappa,” In Contemporary Music Review 18/4: American Rock and the Classical Music Tradition (2000):87. I absolutely agree with Brett Clement’s and Jonathan W. Bernard’s remarks.